Homestead High School's Back to School Night will take place on Sept. 12. Homestead High School’s “Back to School Night” will take place on Sept. 12 from 4:30 p.m. to 6:15 p.m. at the Homestead High quad. There will be a Music Booster-sponsored potato dinner for $8, a performance from the Marching Band, and the chance for parents to meet PTSA representatives, the FUHSD District Office, Athletic Boosters and more. Classroom visits will begin at 6:20 p.m., and the College and Career Center (A108) will be open for anyone interesting in learning about college planning. This event is for parents and guardians only, students will not be permitted to attend the classroom visits. For more information, visit the Homestead High School website. 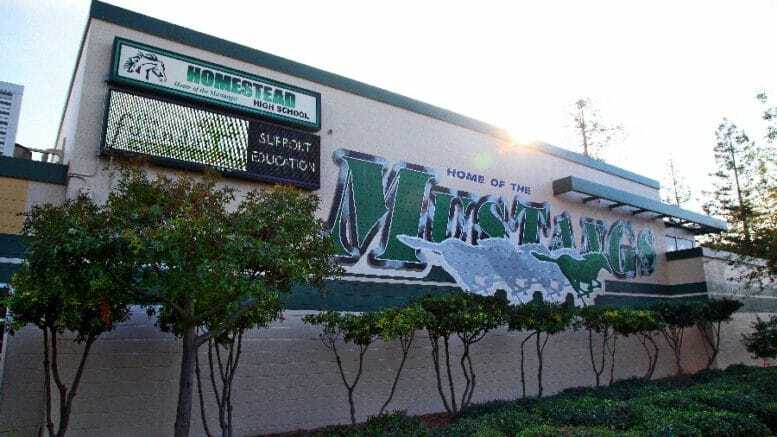 Be the first to comment on "Homestead High invites parents, guardians to “Back to School Night”"